The peacock network wants to keep dancing. NBC has announced that their World of Dance TV show has been renewed for a second season. The series has been doing very well in the ratings and is currently averaging a 1.96 rating in the 18-49 demo with 8.26 million viewers. It’s the second-highest rated show on NBC this summer, behind America’s Got Talent. UNIVERSAL CITY, Calif. – June 29, 2017 – “World of Dance,” which was the #1 regular timeslot premiere of 2017 on the broadcast networks in the 18-49 demo as well as the most-watched summer alternative series debut on cable or broadcast in nine years, has been renewed for a second season. The announcement was made by Paul Telegdy, President, Alternative & Reality Group, NBC Entertainment Unscripted Programming. “World of Dance” is averaging a 2.8 rating in adults 18-49 and 11.0 million viewers overall in “live plus seven day” results from Nielsen Media Research, making it the #1 10 p.m. series on any broadcast network for the full 2016-17 season to date in 18-49. It’s also easily the #1 first-year series of the summer in 18-49 and total viewers, as well as the summer’s #2 entertainment series in both measures, behind only NBC’s “America’s Got Talent.” In 18-49, it’s the highest-rated first-year summer series through its first five weeks (“most current”) in four years, since CBS’ “Under the Dome” in 2013. In total viewers, it’s the most-watched first-year summer alternative series at this point in nine years, since ABC’s “Wipeout” in 2008. 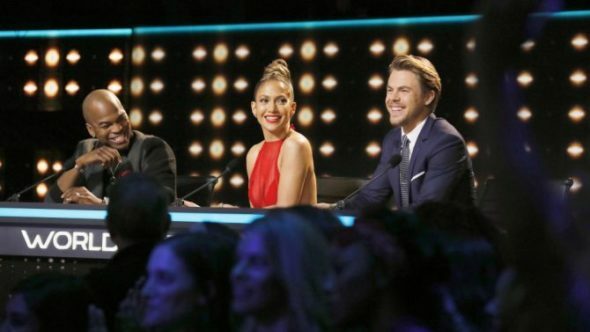 “World of Dance” gives dancers the platform to showcase their talents and compete for a life-altering grand prize of $1 million, led by a judging team of extraordinary dance superstars – Jennifer Lopez (who also serves as an executive producer), Derek Hough, NE-YO and host/mentor Jenna Dewan Tatum. Handpicked from qualifying events around the nation and thousands of online submissions, competitors are divided into three divisions: Junior (any size act, 17 years old and under), Upper (groups of 1-4, 18 and older) and Team (groups of 5+, 18 and older). Our panel of experts scores the acts using a precise point system developed by World of Dance, using the following criteria: Performance, Technique, Choreography, Creativity and Presentation. The competition consists of five rounds: Qualifiers, Duels, The Cut, Divisional Final and the World Final. In the first four rounds, dancers only compete within their division, but in the World Final – the winner from each division will compete against each other for the $1 million grand prize. What do you think? Have you been watching the World of Dance TV show on NBC? Are you glad that this summer series has been renewed for a second season? I Absolutely love it. I few episodes had me tearing up. Great show I’m hoping the tour comes to Florida. I really like this show – love the dancing! !